Ideal for winter training and freestyle, the Semi Long uses double wrist seals and a neoprene cone neck with tension band to give an extra level of protection and warmth. 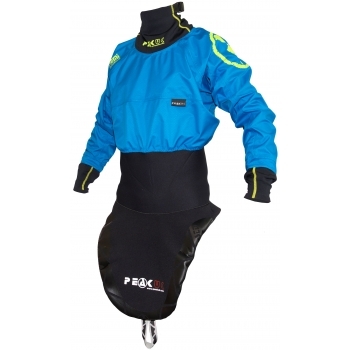 3 layer, mid weight, ripstop nylon, breathable fabric with super water repellent finish and hard wearing tricot lining. 10m hydrostatic head. Supersoft and stretchy, 1mm flatlocked and doubled over neoprene ankle or wrist seals. The softest, most comfortable and stretchy neoprene neck seal out there with an integrated elastic tension strap and grippy inside print for an extra dry seal.